**I received a copy of this album for my honest review. All thoughts and opinions are 100% my own. If you listen to Christian music on the radio, chances are you're pretty familiar with Francesca Battistelli- I know my local station tends to play her music ALL. THE. TIME. Perhaps you're already a fan, perhaps you even have a few previous albums... or perhaps you aren't familiar with her at all. No matter your fan level, today I am sharing my top reasons why I think everyone should add her newest album 'If We're Honest' to their music collection. First and foremost, she rocks! Simple enough reason, right? 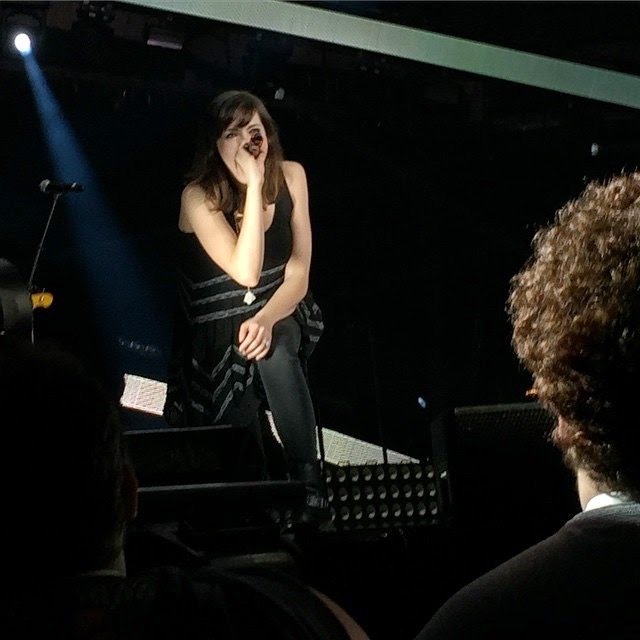 I've personally been a fan for some time, but fell even more in love back in March when I had the opportunity to attend Winter Jam as a Family Christian Blogger. This super fun concert featured some great names in Christian music like Jeremy Camp, Skillet, Newsong... and of course, Francesca Battistelli! And she was amazing!! Definitely my favorite performer of the night. She gets moms. The first time I listened to 'When The Crazy Kicks In', I truly felt as though it was written for me. Now, let's be honest- haven't we all felt like this on occasion? Though we love our children dearly, we just need that little bit of peace in the mornings to get ourselves together, to spend some time with God and to truly just prepare ourselves for the day. Motherhood can be a little crazy, but this song describes it so beautifully. This is one of those songs that my local station has been playing a lot lately, and every time they do I find myself wishing I weren't in my car driving... this is one of those songs that I find myself wanting to close my eyes and just take in the lyrics. Such beautiful lyrics and such a beautiful prayer. I could not love this song any more. It's a great deal! Honestly, this is worth purchasing even at full price... but of course, I love a deal! 'If We're Honest' (the standard edition) is on sale now at Family Christian for just $7.97... but of course, if you want the Deluxe Edition featuring more great music AND a Family Christian exclusive bonus track, it's STILL a great buy at just $12.99!! So, have I convinced you yet how truly wonderful and must have this album is? 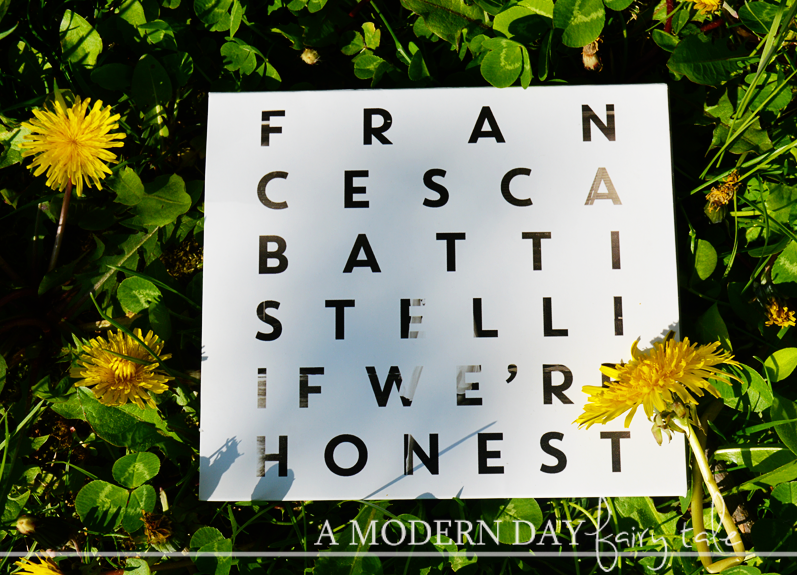 Head on over to Family Christian to pick up your copy of 'If We're Honest' and more great selections from Francesca Battistelli today! I would get the Woods Edge by Lori Benton!